We are looking forward to hosting the New Year’s Day 5k tomorrow at 10:00 am at the Reston Town Center. This afternoon, our Race Directors walked the planned 5k course in preparation of tomorrow’s event, as we were concerned given the unexpected snow that fell on Saturday morning. While the race begins and ends on Market St, within the Town Center. A majority of the race is along the W&OD trail. After walking the full course we have determined that in the best interest and for the safety of all participants we will make a modification to the course, and no longer run along the W&OD. Instead, for everyone’s safety, we will run within the Town Center only, making 5 loops to total a 5k distance. The start will remain on Market Street, next to Clyde’s and runners will proceed by running 5 two-block loops before finishing at the same spot on Market Street. Runners will be asked to run in a clock-wise direction staying to the right (curb side), allowing for the faster runners to pass to the left. After the 5th and final turn onto Market Street, finishers will be directly towards the left towards the finish line. Additionally, if you feel you will need water during your race, please carry it yourself. Due to the cold temperatures and the potential for increased icy conditions along the course, we will not have a water stop. However; we will have bottled water, hot chocolate, hot coffee and treats from Panera after the race. After the race, we will host the awards ceremony in the Potomac River Running Store (on Democracy) at 11:00 am. Thank you all for your understanding, as this was not an easy decision for us to make. However, we feel strongly that safety must be our number one priority for all our runners. 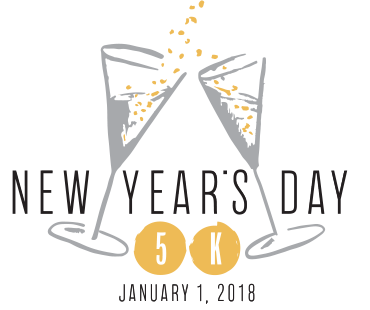 Kick off your 2018 with a 5k with your favorite running company, Potomac River Running at Reston Town Center! FREE PARKING on Weekends and Holidays including New Year's Day! Register Early to secure your entry! Space is limited to the first 850 registrants! $35 December 12, 2016 - December 30, 2016 or until the race is Sold Out (online registration closes December 30, if not already sold out). There is plenty of free parking available in the nearby parking garages in and around the Reston Town Center.